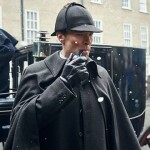 Attn: Sherlock-Nation! 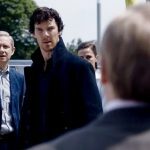 While it has been a painful 2+ years since we last left Holmes as he was being banished to some suicidal assignment overseas, let this serve as your reminder that we are mere weeks away from the long-awaited return of Sherlock Holmes and Dr. Watson, played by Benedict Cumberbatch and Martin Freeman. 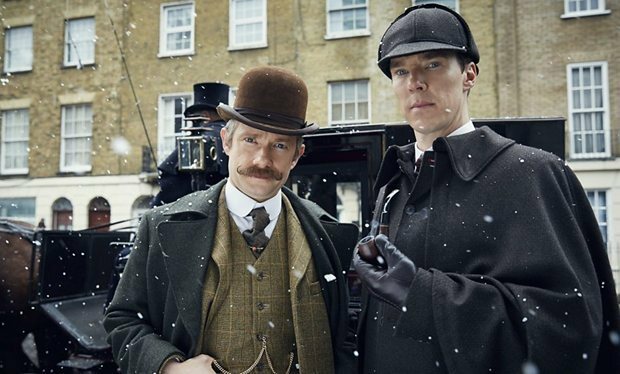 Airing at 9p on New Years Day on BBC1 and at 9p ET/8pCT on PBS, Sherlock “The Abominable Bride” sees both Sherlock and Watson investigating a mysterious ghostly bride who appears to have committed murder from beyond the grave…in 19th century London no less! 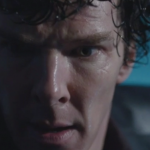 The one-off episode title is based on the quote, “Ricoletti of the club foot and his abominable wife“, from “The Adventure of the Musgrave Ritual”, which refers to a case mentioned by Sherlock Holmes. 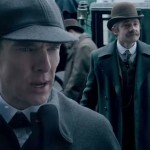 In the new trailer just released, Holmes and Watson come face to face with the gun-toting ghostly bride. She can’t be real, can she? According to the ‘official’ press release, whether she glides towards Holmes and Watson or creeps up behind them, she’s still spooky. “Mrs Ricoletti’s ghost now appears to be prowling the streets with an unslakeable thirst for revenge..”. 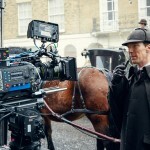 Aside from the New Years Day transmission, Sherlock “The Abominable Bride”, will air New Years Day, it will also air in cinemas across the U.S. and U.K.